Join us at the Peach Tree restaurant and enjoy a classic Sunday buffet lunch, including favourites like roast beef, Yorkshire pudding and a selection of decadent desserts. Only R195 per person, half price for children under 12. 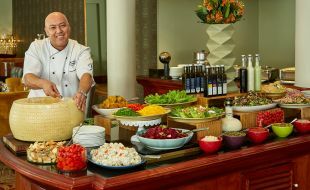 Call +27 21 415 4000 or email stella.bar@tsogosun.com. Bookings are essential. Seats are limited and subject to availability. Pre-payment required to secure your reservation. Rewards discounts are applicable and members can redeem their available SunRands towards payment. Rewards member discount applies to a maximum of 8 guests, per sitting.